How has scripture study benefited you personally? Elder Eyring: Throughout my life, the scriptures have been a way for God to reveal things to me that are personal and helpful. When I was a little boy, I was given a small Bible. If I remember correctly, it was only the New Testament. For some reason, I was drawn to 1 Corinthians 13 [1 Cor. 13], which is about charity. Somehow, even in my childhood, I knew that for me that chapter was about the family I would have someday. Years later, before I was married, I received a patriarchal blessing. In that blessing, the patriarch described the feeling that would be in the home I would someday have. He described exactly what I had felt years before when I read 1 Corinthians 13 [1 Cor. 13]. The scriptures were one of the ways God spoke to me--even when I was a child-- about my needs, my situation, and my life. They still are. Since our needs change over a lifetime, God has different things to tell us at different times. Sometimes I go to the scriptures for doctrine. Sometimes I go to the scriptures for instruction. I go with a question, and the question usually is "What would God have me do?" or "What would He have me feel?" Invariably I find new ideas, thoughts I have never had before, and I receive inspiration and instruction and answers to my questions. Why should we read the Book of Mormon on an ongoing basis? Elder Eyring: The Book of Mormon is another testament of Jesus Christ, and we learn about Him in its pages. We know that it has great power. It has the power to change lives. It has the power to convert. If you read it with an open heart, you will know that it is the word of God and that it is true. Through the Book of Mormon the Lord can also teach us about being with and serving people. This book reveals the will of the Lord for family life in a way that the other scriptures don't even approach. I believe that is largely because of its interesting structure. It's about families; it's about people's relationships. It starts with families, it ends with families, and we come to love these families. Another reason to study it regularly, for me at least, is that I can pick up the Book of Mormon, open to any page, read, and the Holy Ghost bears personal witness to me that it is the word of God. I know the Lord is speaking. I know the Book of Mormon is what it claims to be. What have you done to make your own scripture study meaningful? Elder Eyring: When I came into the Quorum of the Twelve Apostles, Elder Richard G. Scott suggested I buy an inexpensive set of scriptures and mark the insights and revelations I would gain in my new calling. So I did. But I went a little further. I asked Heavenly Father what He would have me do as an Apostle. I wrote down what I felt His answers were. I typed, color coded, and pasted those answers in the front of my scriptures. For example, the first one was "I am to be a witness that Christ is the Son of God." Then I read my scriptures looking for ideas that taught me how to witness that Christ is the Son of God. Every time I came to something, I marked it in blue. Soon I developed my own topical guide around what I thought the Lord wanted me to do. I have learned much through this process. Going to the scriptures to learn what to do makes all the difference. The Lord can teach us. When we come to a crisis in our life, such as losing a child or spouse, we should go looking in the scriptures for specific help. We will find answers in the scriptures. The Lord seemed to anticipate all of our problems and all of our needs, and He put help in the scriptures for us--if only we seek it. How can Latter-day Saints make scripture study a priority? Elder Eyring: The only way you can be sure that a busy schedule doesn't crowd out scripture study is to establish a regular time to study the scriptures. I have found that the beginning of the day and the end of the day are mine. Those are times I can usually control. So my pattern since I was a boy has been to read my scriptures at the beginning and end of the day. I read the Book of Mormon many times before I was 18 because of that pattern. When I am in situations where I break out of the pattern, it's hard on me. Once you get used to regular scripture study, you miss it if you don't have it. It's like food--you have to have it. I know that I need the scriptures like I need food. I don't miss a regular meal, and I don't miss regular scripture study. What role do fasting and prayer play in scripture study? Elder Eyring: We need to approach a fast by asking to be taught; we should be humble and eager like a child. That's how we fast if we do it right. If we just miss meals, it's not the same. Likewise, we need to go to the scriptures humbly and eagerly, as we do when we fast. When I go to the scriptures asking to be taught, then adding fasting helps tremendously. For instance, just before general conference, I fast to find out what the Lord wants me to speak about. I can't prepare a conference talk until I know what He wants. Fasting helps me focus on the one thing the Lord needs me to know. That same focus carries over as I read the scriptures. Fasting and prayer work together with scripture study, making it easier for the Lord to teach us. How can parents help their children love the scriptures? Elder Eyring: All of us have had various experiences and success with family scripture study, particularly as our children become teenagers. When they're little, gathering them around and reading the scriptures together is easier. As they get a little older, it can sometimes be harder to do. I know many families are very successful in getting their family up at some very early hour and they read the scriptures and then they read at night. But there are many patterns. For me at least, and I think my six children would agree, scripture study works well only if your children know you love the scriptures and they also know as individuals that you love them. Then whatever pattern you have will work. If scripture study is forced for either them or you, if your children feel pushed, or if you don't really love the scriptures yourself, then scripture study doesn't have as much power. It's important to read the scriptures together in a way that lets your children know you include them because you love them. However, reading together may break down during the teenage years. Teens may say, "I'd rather read on my own." My encouragement to families in that situation is to see that as victory, not defeat. Your child may be saying, "I'm getting something when I'm alone that I don't get when we're all here together." Take that as a wonderful sign that scripture study is beginning to take hold in your teen's heart. The main purpose is to fall in love with the scriptures and feast upon them, whether we are alone or together. You have to be realistic. Let teens know you love them. Make sure they know you love the scriptures. However, if they want to go to their rooms and read, let them. They'll find their own pattern and fall in love with the scriptures. I'm blessed with a wife who absolutely loves the scriptures. If I ask her, "What would you like to do?" she says, "Oh, read me the scriptures." I think our children have sensed that it wasn't a duty for us to read the scriptures--it was a pleasure. How can seminary help young people learn to love the scriptures? Elder Eyring: I served as Commissioner of Church Education for a number of years, so I've had a chance to see that there are three powerful things seminary can do. First, it puts young people together who share the same values. Youth like to be with others who share their faith and who love the scriptures. Second, it puts youth together with a teacher who has a testimony, and they can feel the fire of it when it is borne. Third, seminary gets young people into the scriptures. Seminary teachers have tried all sorts of methods--scripture chases, assignments, and scripture mastery. Success varies from student to student, but when seminary works, you find a teacher who has a testimony and who loves the young people. Why is it important for us as teachers in our wards and branches to teach using the approved curriculum? Elder Eyring: Church curriculum is scripture based, so a teacher who follows the curriculum will be taking the students to the scriptures. The greatest teachers I have known introduce a scripture during class discussion that speaks to the need or the interest of the student who has just spoken. There is tremendous power in doing that. The moment a young person actually sees a teacher using the scriptures to clarify and to help in a very personal way--oh my, that is a great moment. I taught with a wonderful professor at Ricks College (now Brigham Young University--Idaho). I would turn to him and say, "How do you know where those scriptures are?" 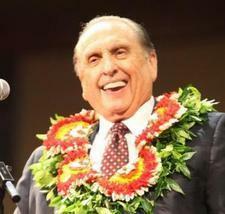 I wanted to be like him in the sense of having scriptures at my fingertips. I could do that with a few scriptures, but he could do it with many. It is a great blessing for a teacher to have the Lord draw out of his or her memory the very scripture that will help a student. Remember that a short scripture can be more powerful than a lengthy one. It can respond directly to the question or interest of someone in the room. That's powerful because it teaches students by example. It says, "Someday when you have a problem, the answer will be in the scriptures." What is the role of the Holy Ghost in scripture study? I've taught deacons. I've been an assistant Scoutmaster. I found that if the boys began to get restless, I would, just for a moment, read a scripture or two. There is a peaceful effect in a classroom when you read the word of God. The words of the scriptures themselves bring the Holy Ghost. And you can feel the difference. So I would say to a teacher, if you're having a little trouble with unruliness in the classroom, find a way to read a scripture or to have one of the students read a scripture. It has a calming effect because it invites the Spirit. What can we look forward to as we consistently study the scriptures? Elder Eyring: In time, if you truly begin to feast upon the scriptures, you will find that they become a part of you. I remember that with Elder Bruce R. McConkie (1915-85) of the Quorum of the Twelve Apostles, who was as familiar with the scriptures as anyone I know. I would sometimes listen to him and say to myself, "Now is he quoting the scriptures, or are those his own words?" President Gordon B. Hinckley is the same way. His ordinary speech is scriptural prose, and even in his pleasant, easy moments, that prose is a part of him. I think he has a great literary gift, in part because of his knowledge of the scriptures. I was with him just the other day when he very casually pulled a scripture into the conversation and it fit perfectly. Obviously the scriptures are in him; they're part of him. We all can have the dream of someday having the word of God be so much a part of us that the Lord can draw upon it and we can learn to think as He does. And in the process we can come unto Him.